When the ailing family business of Merriland's Florists merges with Westwood Flowers, Merry, one of the partners of Merriland's, resents the new partner Sean Westwood. He tramples over her decisions, especially those concerning her irresponsible but charming cousin, Robert Townsend. Robert vanishes at the same time as the company's money. Merry's frantic search for him causes Sean to assume that Merry is Robert's accomplice. Merry, caught between the half-truths and evasions of Robert's fiancée Toni, ignores her growing attraction to Sean. When she discovers that love is the key that unlocks the mystery of Robert's disappearance and that of the money, her own conflict about roses for romance is solved. Deliveries, flower arrangements, and all the misty romance of a florist’s day fills the life of Marilyn ‘Merry’ Land, although she seems to be missing out on the ‘romance’ part. She runs her Dad’s shop in Melbourne, Australia. And ‘run’ means she does everything–-from flowers for weddings to changing tires. She might be a bit challenged at the changing tires part…but a flat tire might offer a bit of an opportunity, too. Early on, we are hopeful for a delightful romance right at the start, as a potential Mr. Right seems to emerge at once. Of course, business problems and family decisions crop up immediately as well. Her aunt might be a help, but we need to worry about that cousin (sweet scamp that he is) and as for Mr. Right, we start viewing him as Mr. Know-it-all pretty quickly. Merry isn’t one to suffer in silence, but as the complexity of the story grows, we really start to worry if things will ever go her way. The best part of this is it keeps you guessing. At times, we readers aren’t even sure how we want things to go. Poor Merry goes from hopeful to passionate to panic in the space of a chapter at times…and like us, doesn’t quite know who to believe. There’s a lot of charm in this little story, although Ms. Webb features too many paragraphs telling about a person (or a complex situation) and not just letting the story happen. It slows the pace and, at times, removes the reader from the emotional attachment: too bad, because, as I said, there is a lot of charm here. From kookaburras to thick forest, dense bushland to flooded streams, this story offers a wonderfully depicted background. 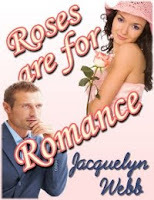 This novella is for you, especially if you enjoy a sweet story in a well done Aussie setting.